20 Gorgeous DIY Gift wrapping ideas for the holiday season! 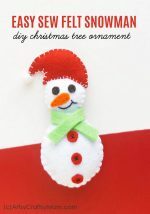 You are here: Home >> Craft Ideas >> 20 Gorgeous DIY Gift wrapping ideas for the holiday season! A Creative Mint shows you how to Recycle paper grocery bags as gift wrap. Not only is it easy and cheap, but it also gives your gifts a rustic style. Get some red and green paint, some red pom-poms, some glue, a sharpie and some sponge brushes and make this DIY sponge painted reindeer wrapping paper via artsycraftsymom. Super cute!! 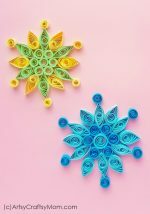 Here is another wonderful paper craft you can use to wrap those small gifts like jewelry. The tutorial from lines across is incredibly simple to implement, and the best part is the boxes can be reused. 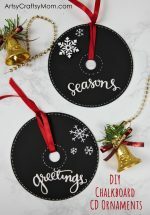 Chalkboard inspired wrapping is a great idea for an easy but fun gift wrap!With black paper and chalk, the possibilities are endless! Turn trash into treasure. Put toilet paper roll to good gifting use and fasten with a sprig for the holiday effect! Add some gorgeous postcards to the top of your presents. Or, if you save your old Christmas cards cut the front side off the card and stick that on top of your present for a really Christmassy look. I think this project from lines across is my favorite!! Some blank paper and some crayons, perfect for kids presents. You know how much we love our color and sparkle—so we can’t imagine anything better than giving a gift covered in confetti! Often, the most clever DIY projects are the simplest to create. With that notion in mind, DIY Network created a gum drop garland that’s perfect for tying onto presents, and that’s just as precious to look at as it is delicious. 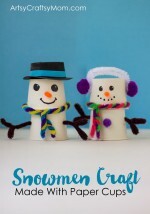 Check out this adorable snowman craft wrapping paper from our archives. Kids will love using the sponge brush. 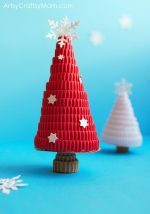 These festive gift wrapping with mini foil baking cups from Hey Look are so much fun! Add some sparkly sequins and string to complete the festive look. 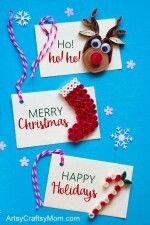 Cut Out Gift Wrap is a very fun, unique and easy way to make your gifts extra special for your loved ones. Let’s get started with this idea from high on diy. With this way of gift wrapping, you don’t really need to decorate the gift any further with ribbons, colorful strings, etc. This holiday season, give your white paper-wrapped presents an edgy accent that’ll instantly make them stand out above the rest. A little bling goes a long way, and since this time of year everything seems to be dripping red green and silver, a splash of bright colored baubles held in place by twine can be a welcome change. Furoshiki is a Japanese gift wrapping technique using fabric instead of paper. It’s a greener choice — the fabric can be used again and again — and it’s also versatile and beautiful.. Tie up your gifts in an old stretched-out sweater or recycle that cute tea towel for the cutest, coziest recycle wraps ever! For the full instruction, head to Things for Boys. Gedane has this beautiful explanatory tutorial on Adorable Gift boxes made from paper cups. Great way to recycle all the leftover paper cups from your last party! You know that stack of Cans you’ve been saving from chips binge eating from the past?Why not give them a new lease on life as beautiful gift wrap for cookies or other edibles? Hope you all liked above DIY projects. These 20 Gorgeous DIY Gift wrapping ideas for the holiday season are sure to impress everyone on your gift list without breaking the bank.